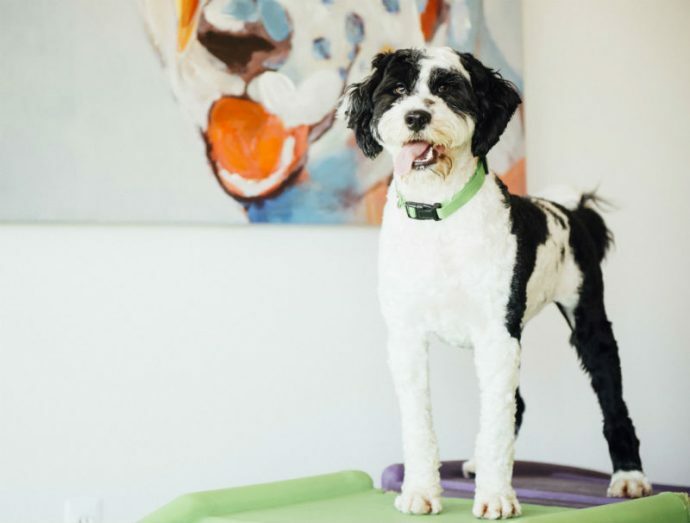 At Dogtopia of South Chandler, we treat your pup to fun-filled days of safe socialization with other dogs, interacting with our caring team, exercise and burning off plenty of pent-up energy, as well as basic education to help them become better behaved both in and outside your home. Best of all, your dog will make lots of new friends (including his BFFF – Best Furry Friend Forever – and will love his newfound freedom in our open-play environment where he’ll be separated by friends of similar size, temperament and play style. Best of all, you can check in on your furry family member throughout the day via our live webcams. 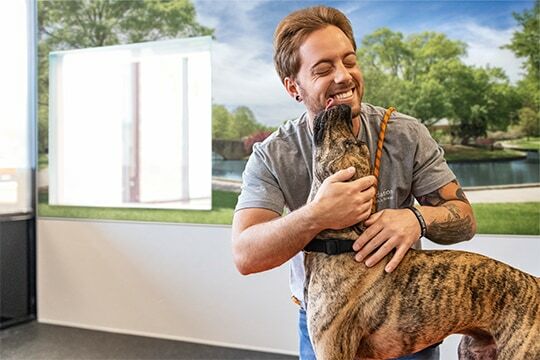 Dogtopia daycare is what your dog would ask for if he could! Our certified Canine Coaches and staff will work with you to determine a daycare schedule that suits both you and your dog’s unique needs. We offer flexible daycare packages to suit every need. An open-play environment separated by size and temperament encourages positive experiences with loving dogs and humans. Supervision ensures dogs get the safe socialization and learning they need to be happy, well-balanced pups. Our facility is climate-controlled, so no matter the weather, it’s always a comfortable 65-70 degrees and bright in our playrooms. We welcome all breeds of dogs at our facilities; all happy and social dogs who are fully vaccinated and pass our meet and greet are welcome! Puppies must be at least 12 weeks and current on required vaccinations. All dogs 7 months and older must be spayed or neutered. With dog obesity on the rise, staying physically fit is more important than ever. Plus, better doggie health helps ensure a longer doggie life. 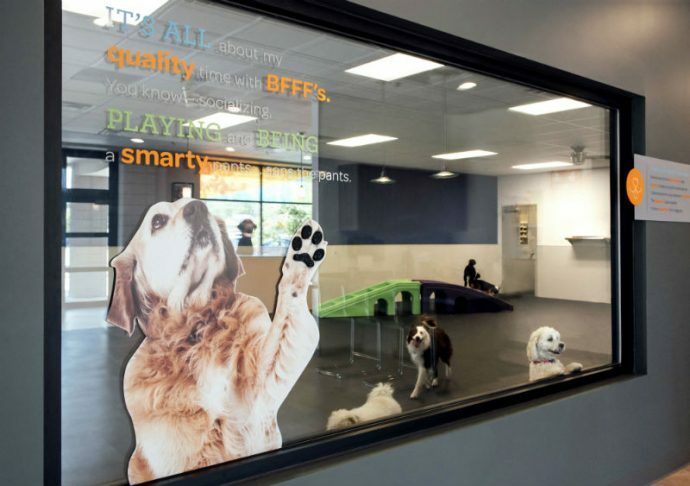 At Dogtopia, dogs enjoy open play in our spacious, climate-controlled playrooms that feature compressed rubberized flooring designed with your dog’s comfort in mind. A universal vow to treat your dogs like a member of the family! Our certified Canine Coaches are trained to manage and educate dogs of all breeds. 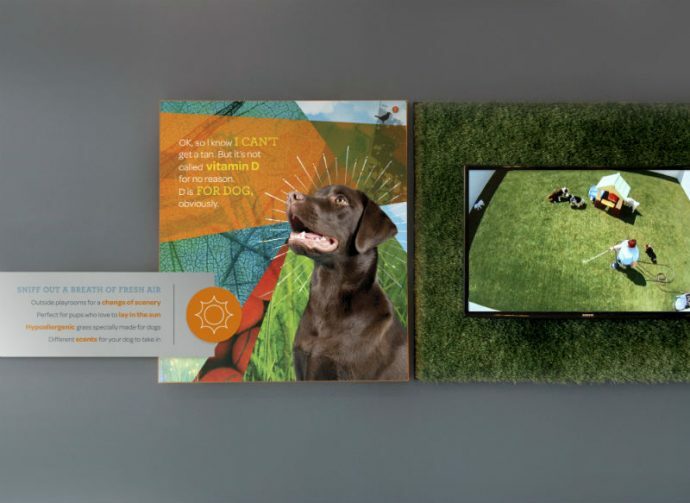 You’ll get periodic report cards to keep you in the loop on your dog’s behavior, their new BFFFs (Best Furry Friends Forever), and tips for how you can replicate our positive educational methods at home. To find out more, please fill out our contact form today!